BuzzFeed Shares 19 Things You Should Know About The “Divergent” Series From Author Veronica Roth! Buzzfeed was able to sit down with Veronica Roth and discuss her Divergent trilogy. Veronica Roth: I think I chose Abnegation first, on the north side of Chicago, mostly because there’s more neighborhood-y areas there. And then Dauntless is not supposed to be a real place. I don’t know any buildings that are set up in quite that manner or any underground areas or any underground rivers, so it’s kind of an impossible, fantastical place that’s further south. And then one of my favorite buildings is the Merchandise Mart, so that’s why Candor is in there. And Erudite, the kind of row of buildings across the street from the Art Institute, just seemed very Erudite to me. And then Amity had to be out somewhere, also in a place that does not exist. 2. Readers will find out (in Allegiant) how Tobias’ fear landscape has changed since he publicly beat his father in the second book. In Insurgent, after Tobias whips his father with a belt, he returns to Dauntless headquarters and goes through his fear landscape. He says it changes, “but not in the same way.” Is the change addressed in Allegiant? Also in Insurgent, Edward’s eye injury is discussed and Tobias claims he heard a rumor that Peter was provoked, but he doesn’t elaborate. Do you specify what happens in Allegiant? VR: No, I think it’s a little more ominous that way. I thought about it, but I just didn’t want to. I wanted to withhold that particular tidbit. Yeah, it seems like he’s secretly evil, but he didn’t appear that bad during Dauntless initiation. VR: No, that’s kind of why I like it, because the people you think are nice are not always nice, and Edward’s the primary example of that. And Peter’s so upfront about his evilness, it was cool to have someone with a more hidden agenda. I don’t think [Edward’s] evil, I just think he’s a little more morally flexible than Tris thinks when she first meets him. So Natalie [Prior] was originally Dauntless, and Andrew [Prior] was originally Erudite, but I don’t know how long they’ve been there. Is that discussed in the next book? VR: It is discussed, this whole issue actually, I think in the first five pages [ofAllegiant]. You’ll be able to know some things once you read it! 5. Roth considered writing parts of Allegiant from Caleb’s and Natalie’s point of view. At the 2013 National Book Festival, you stated that you almost wrote the book from Caleb’s and someone else’s perspective. Can you tell us who that person was? VR: I tried out Caleb, I tried out Tobias (obviously that one worked), and I tried out journal entries retrospective from Natalie’s point of view to intersperse with the forward narrative. That couldn’t sustain over the entire book, and it didn’t address the story from the angles that I wanted to address it from, so I had to get rid of that one too. Was it weird writing from Tobias’ point of view or did you love switching voices? VR: I thought it was fun because Tris’ voice is very stereotypically masculine, very straightforward, very direct, kind of repetitive. Tobias’ is a little more poetic, a little more descriptive, and he generally shares more. Tris is always withholding, but Tobias shares everything, so it was interesting to see those dynamics and how they turned over my expectations of those people. It was fun, but it was hard. 6. Uriah isn’t in the first movie because his role is too minor, but he will be a big addition to Insurgent. VR: I don’t. I just want someone who’s a very good actor. They considered a lot of talented young men for that role and it didn’t work out. I hope they maybe go back to the pool now that the timing has changed to see if they’re available, because some of them were really great. Are you sad that he’s not in the first movie? VR: Yeah, I’m sad. I kind of understand, now that I’ve seen so much of the movie get shot, why he wasn’t in it. They want the role to be big and solid in the second one, and he was only going to be in a couple scenes in the first one. It’s like, you want to hire an actor who can handle the role in the second one, and he’s not going to be the same one who can handle the role in the first one. It just wasn’t working and it was a bummer, but they’ll make it work. VR: I’m looking forward to the fear landscapes. They’re going to be weird and hopefully creepy! I’m excited to see them. VR: I think the final test, because the fear aspect of it is what really interests me. There’s kind of a small horror element to it, and it will be fun to see. VR: Yes, I have a fear of swarming animals, so the birds were really freaky for me. I hate animals in large quantities — mostly bugs I have a problem with. Also heights, I don’t like heights at all. 9. Veronica Roth always had the ending in mind forAllegiant. VR: Yes. Since the first book — I remember telling my editor, and she said, “Well, you better keep that quiet.” Yeah, I did a lot of work to set it up the way that it is and I’m really happy with it. 10. Divergent is set very far in the future, but there’s no exact date. VR: No! (laughs) The reason it’s not in there is because I am terrible at estimating time and how long it takes for certain things to happen and for changes to happen, so I just kept it deliberately ambiguous. When I tried to figure it out, I just stressed myself out, so I think it’s just really far in the future. 11. Natalie Prior is loosely based off Veronica Roth’s mom. VR: The only one that’s close to someone I know is Tris’ mother is a lot like mine, because my mother was always self-sacrificial and very kind and helpful to us. But when I got older, I realized she was also a badass, and I think that experience motivated a lot of the aspects of Tris’ mother that we see, so she’s a little like my mom. I don’t know if my mom would agree, but at least as far as I saw her in a particular moment in time, that’s how Natalie is. VR: Some questions I don’t like to answer because I want it to be fun for people to form their own opinions, but with him, I think it’s a lot earlier than you think! 13. Sadly, there are no “Detergent” jokes in Allegiant. VR: No, but I tried! I was thinking of doing something with laundry but it just didn’t happen. 14. Roth wishes she didn’t kill some of her characters. VR: Well, I would make the Erudite more nuanced. Since Tris is the one observing them for us, she is very judgmental and it’s been set up to be by her dad, so it’s understandable that they wouldn’t come off that well. But a good writer can show things that the narrator doesn’t see to the reader, so that’s hard, and I wasn’t that good at it when I wrote Divergent, so I would love to go back and fix that if I could. I would also show a little more of Jeanine’s backstory and motivations to make her more nuanced also. And I’m not going to say who, but there are some characters I wish I didn’t kill. I just think the story maybe could’ve been stronger or gone in a really interesting direction if some of them had survived. VR: None in book three — I was really careful about what I did in book three. Not that I wasn’t careful when I wrote the first two books; I just didn’t know as much, I guess. 15. Any person who tried to enter Jeanine’s lab would’ve been forced to fight themselves in some type of logical puzzle. When Tris attempts to get into Jeanine’s lab, she is forced to fight herself in a simulation. Does the simulation change based on fears of a person, by faction, or something else? VR: It’s intended to be a logical puzzle, not a fear simulation. So Tris fights herself not because that’s who she would not want to fight, but because everyone would have to struggle against themselves in one way or another, depending on their disposition. For Tris it’s a logical puzzle based on a physical challenge. You know, “How do I beat an opponent who knows exactly what I’m going to do, can do the same things I do, is a total match for my strength and speed and is no better or worse than I am.” She discovers the difference between them is their goals, and she uses that to defeat herself. I think an Erudite character would have more of a mind puzzle and it might change depending on who is in there, but they’ll always be fighting themselves. VR: In Insurgent, I tried to kill Marcus four different ways but he just wouldn’t die! VR: He was going to be executed for reasons that no longer apply, but he was going to be framed for some kind of crime and executed — but it didn’t work. 17. Jeanine’s motivations come from deep anxiety and a lack of understanding people’s independence. VR: Jeanine’s motivations come from deep anxiety and a total lack of understanding that other people are independent and exist outside of her and are not for her use. That combination motivates her to do what she does. I wish that were in there a little more. Some things about the history of the world outside the fence are definitely not included for time and pace and all that, but I can’t reveal those, because they would be spoilers. There are some journal entries written from Natalie’s perspective out there, so those will probably appear somewhere and you learn a lot more about Abnegation. VR: I have four short stories about Four. They’ll all come out in paperback bind in February. So the first three are kind of prequel for Tobias about his life before he met Tris, and then the fourth one has a significant amount of overlap with Divergent. VR: Oh, I don’t know. I think it will be like any book, a mixture of things, but hopefully people find it at least satisfying even if not everything that they wanted happens. But I think there’s some powerful and beautiful moments at the end, so my hope is that people will appreciate those. Categories: Allegiant, Divergent, Divergent Movie, Insurgent, Interviews, veronica roth | Tags: Allegiant, BUZZFEED, Divergent, Insurgent, Veronica Roth | Permalink. Veronica Roth Explains the Conclusion of the Divergent Trilogy to MTV’s Josh Horowitz! The final book in the Divergent trilogy, Allegiant has finally hit book stores. Veronica Roth sat down with MTV‘s Josh Horowitz to talk about the conclusion of the series. Categories: Allegiant, veronica roth | Tags: Allegiant, Josh Horowitz, Mtv, Veronica Roth | Permalink. Veronica Roth talks about the End of ALLEGIANT on her Blog! If you are like me than you have read Allegiant and are depressed. I won’t spoil what happens for those that have not read Allegiant yet. Veronica Roth took to her blog to talk about the ending of Allegiant. So, I am back from tour– all the events last week were wonderful. The lovely Christian Madsen and Ansel Elgort joined me for the New York City stop, I read little pieces from the Four short stories in Dallas and San Francisco, and I sang backup for my brother in Downer’s Grove. I met so many wonderful readers with thoughts and insights and stories and T-shirts and marshmallows, and it was a great time. All week, people who had read Allegiant were asking me the same question, and people on the Internet were asking, too. I answered it very briefly in a spoilery MTV interview that went up today, but I wanted to post a longer answer that goes a little deeper for those of you who are interested. I’m trying to be very careful about marking spoilers, so hopefully all this works. Warning: this post will spoil the end of Allegiant for you if you read it. Like within the first three paragraphs. So please proceed with caution. And if you quote this post on any other site, please do your fellow readers the kindness of marking or tagging spoilers well. Thank you! In my college creative writing program, we had a rule: during workshop, when your story is being critiqued, you aren’t allowed to say anything. This is to give your peers the freedom to interpret your work and point out the flaws in it without you shouting them down; it’s also because your defense doesn’t actually mean anything, though you might think it does. If your explanations and intentions are not clear to the reader, buried inside the text, that isn’t the reader’s fault, it’s the author’s. Responding to readers’ comments about the Divergent books has always felt the same way to me, like it would just be me shouting other people down when I should be letting them speak freely, and as badly as some criticism hurts (and it does, because I’m only human, after all), I never, ever want that. So that’s not what I’m trying to do here. A lot of people have been asking me why Tris died at the end of Allegiant, and what I do want to do here is answer that question as well as I can. But if you’re concerned about my voice imposing itself over your own, please stop reading this post– that’s the last thing I want. I don’t want to tell you how to read these books or even to tell you there’s one right way to read them. I just want to offer you some insight into how I personally found my way to this ending, if you’re interested in hearing it. 1. You are allowed—encouraged!— to continue to feel however you want to feel, or think however you want to think, about the ending, no matter what this blog post says. I’m the author, yes, but this book is yours as well as mine now, and our voices are equal in this conversation. I’ve said before that this ending was always a part of the plan, but one thing I want to make clear is that I didn’t choose it to shock anyone, or to upset anyone, or because I’m ruthless with my characters—no, no, no. I may have been ruthless with other characters, in the past, but not with her, never with her. And I wasn’t thinking about any readers when I wrote this book; I was thinking about the story, because trying to meet the expectations of so many readers would be paralyzing. There’s no way to please everyone, because that mythical book with the ending that every single person wants can’t exist—you want different things, each one of you. The only thing I can do, in light of that fact, is write an honest story as best I can. What happened to Tris’s parents at the end of Divergent was in some ways the catalyst for the rest of the series. Before that point, Tris had rejected her parents’ values and beliefs in a very tangible way by choosing Dauntless. She struggled throughout Divergent to reconcile two identities: her Abnegation identity, which Four points out to her, and her Dauntless identity. It’s just before her mother gives up her life that Tris figures out how those identities fit together, combining selflessness and bravery and love for her family and love for her faction all together under one umbrella: Divergent. It’s a moment of triumph followed by a moment of total devastation, when Natalie dies so that Tris can escape. And then Andrew follows soon after. Tris’s parents’ deaths were revelatory moments, both for Tris and for me. For Tris, they seemed to awaken her to the power of self-sacrifice out of love; she later handed over the gun to Four rather than kill him, essentially giving her life rather than taking his. She said something in that moment about the power of self-sacrifice, but her actions don’t quite apply that power in the best way—letting herself get killed, at that time, was maybe noble from a romantic perspective, but wouldn’t have saved the Dauntless from being simulation-controlled zombies, and wouldn’t have saved Tobias from his own simulation. For me, Tris’s parents’ deaths made me realize that though Tris had tangibly abandoned her parents’ faction, she was never quite able to separate herself from them, never quite wanted to; that the true struggle of her character, the one she had never been able to let go of, was to figure out how to honor her parents while still maintaining her distinct identity. That was her struggle in Divergent in a more subtle way, but it was also her struggle in a far more obvious way in Insurgent. Tris spent Insurgent warring with grief and guilt in light of her parents’ deaths and of her hasty actions in shooting Will to save her own life (which is the opposite of what she does for Tobias, further showing that Tris hadn’t quite figured out how to be selfless at that point). The “selfless” acts she thought she was performing in Insurgent—charging upstairs during the Erudite-Dauntless attack unarmed, spying on Max’s conversation with Jack Kang without a weapon, and then handing herself over at Erudite headquarters even when she’s asked not to—were more self-destructive than anything. She rationalized those self-destructive acts by calling them selfless, but when she was about to be executed, she realized that her parents didn’t give their lives for her just so that she could die when it wasn’t necessary. She realized that she wanted to live. She emerged from that near-execution with new maturity: she valued her own life, she wanted to solve problems without resorting to violence, she sought truth over destruction. That Tris had not quite figured out what selflessness was to her, but she had discovered what it wasn’t: self-annihilation. After that, Tris entered the same role her parents played when they died for her. She loved and gave her life for Caleb even after he betrayed her, the same way her parents loved and gave their lives for her after she left them for Dauntless. But this time, unlike in Insurgent, the act wasn’t self-destructive. Tris’s peculiar relationship to the serums was that she was able to overcome them (like the Dauntless fear simulations and the Candor truth serum) unless on some level she wanted them to work (like with the Amity peace serum). So when she passed through the death serum outside the Weapons Lab and it didn’t kill her, that suggested she wasn’t seeking her own destruction. She was truly acting out of love for Caleb. I understand being upset about the loss of a character you care about, and I’m soglad you care about her, because I do, too. I am proud of the way this ending mirrors those of the other books, of the way it reflects the realistic (given the dystopian, dangerous setting) losses of those books, the way it shows what Tris is truly made of, and the way it concludes her hard-earned transformation. I think her love for her brother is beautiful, powerful. Categories: Allegiant, veronica roth | Tags: Allegiant, Veronica Roth | Permalink. DIVERGENT Merchandise at Target and Hot Topic! The Divergent movie is getting closer and closer. So it is natural that Divergent merchandise starts to show up. Target has a Divergent journal and Divergent gift pack that includes stickers and magnets. Thanks to our friends at Divergent Fans for spotting this. Categories: Divergent Merchandise, Divergent Movie | Tags: Divergent, Divergent Merchandise, divergent movie, Hot Topic, target | Permalink. WATCH: Veronica Roth on #ALLEGIANT Tour Stop in Chicago! Today Divergent author Veronica Roth stopped in her home town of Chicago on the Allegiant Tour. Epic Reads recorded the whole thing so that we could see it if we missed it. The video includes Veronica answering questions and sing Tris’ song with her brother Karl Roth. Categories: Allegiant, veronica roth | Tags: Allegiant, epic reads, Veronica Roth | Permalink. #ALLEGIANT Sales 455K Copies in One Day! Publisher’s Weekly is reporting that Veronixa Roth’s Allegiant, the final book in the Divergent trilogy, sold 455, 000 book on the day that it was released! Allegiant did exceptionally well on pre-sale orders and even beat out Suzanne Collins’ Mockingjay. In what seemd to be largest ever first day sale figure for HarperCollins, Veronica Roth’s YA novel Allegiant sold 455,000 copies globally across all formats on its publication day, October 22. The book had an announced two-million-copy first printing. Anticipation mounted in the month leading to the publication of the final installment in Roth’s Divergent trilogy. Preorders set house records, and bookstores across the country hosted midnight publication parties to celebrate the book’s release. Despite a handful of readers who, due to a shipping error at Indigo Books in Canada, received copies of the book three weeks early, online spoilers were kept to a minimum until the pub date. Huge congrats to you Veronica Roth! 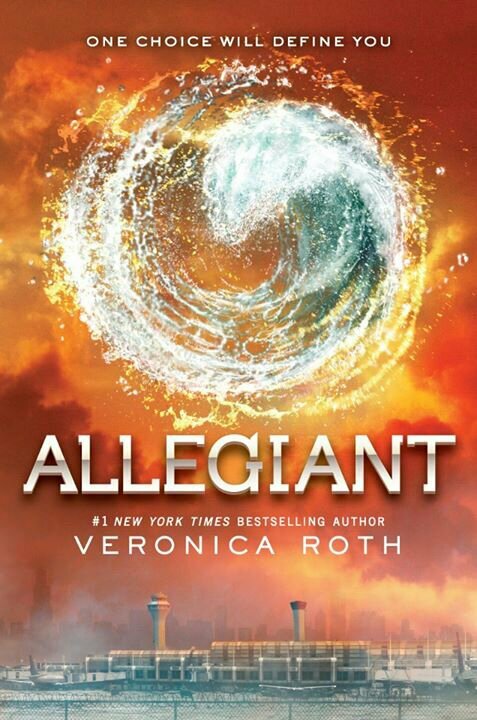 Categories: Allegiant, veronica roth | Tags: Allegiant, HarperCollins, Publisher's Weekly, Veronica Roth | Permalink.